What is it that holds society together? …Then at night by coach to attend the Duke of Albemarle about the Tangier ship. Coming back my wife spied me going home by coach from Mr. Hunt’s, with whom she hath gained much in discourse to-day concerning W. Howe’s discourse of me to him. That he was the man that got me to be secretary to my Lord; and all that I have thereby, and that for all this I never did give him 6d. in my life. Which makes me wonder that this rogue dare talk after this manner, and I think all the world is grown false. But I hope I shall make good use of it…. Clearly there are issues of trust and personal conflict Pepys’s life which even on a bad day is still colourful. 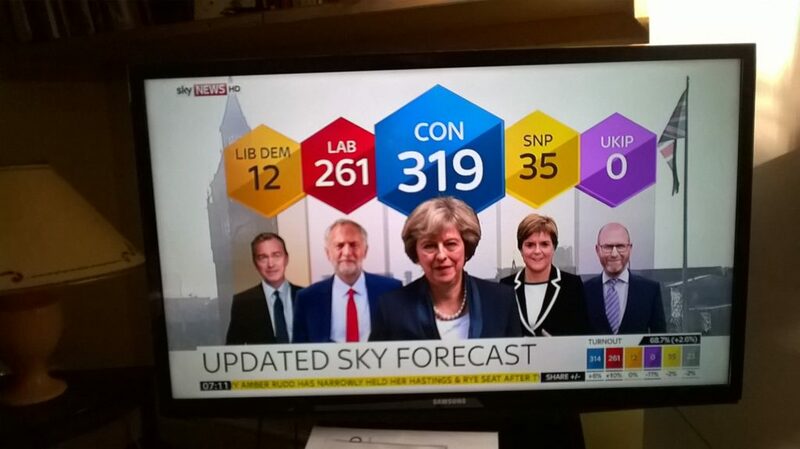 We have witnessed in the last few days a general election where the result of the instigator – The Prime Minister – was unintended and backfired upon her. The main reason seems to be that she put herself first and the country second. Such is the route (root) of so many problems that beset us. The leader of the Labour Party displayed behaviour as a man of the people and this was why the young people of this country voted for him; it could be seen also as a negative vote against those that cannot be trusted i.e. Most politicians. It is becoming clearer that Jeremy Hunt is biding his time but will dismantle the NHS as soon as possible. I want to leave this rather dismal subject and just make one or two pointers, food for thought, on what makes society run well. The first and most insidious barrier to smooth running is interference from outside economic forces. There are certain countries who have a desire, octopus style, to interfere with other countries. In the course of their activity they bribe and if necessary blackmail politicians and business leaders into following their will. in their view it is just part of the cost of doing business and making profit. 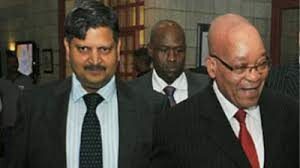 President Zuma (right) and one of the Gupta brothers who together virtually run the economy of South Africa. Critics are bribed or threatened. A healthy system is one that ensures that people are getting a chance to express their opinion and feel that they are being heard. The opposite of this pertains in South Africa which is a fiefdom of President Zuma and the Gupta brothers from India who have taken over the economics of the country. This is the most blatant and arrogant example of nepotism but most other countries have the same type of system in varying degrees of subtlety. Another requirement is a united agenda inspired by altruism for example feeding the poor, helping victims of physical abuse. We also note is unity in times of distress for example a war where we unite against an external enemy. A most difficult personality handicap is emotion arising from unresolved fear, incipient anger or just plain out of control fury. It amazes me how conflicts with neighbours, and within towns, can simmer for years and decades and nothing whatever is achieved except the rotting of the soul. The people who get on with others best are those who are happily married – to themselves. The rest is a bonus. A gentle reminder from someone who lived a couple of millennia ago. “Love thy neighbour as thyself”. Most people read into this what they want to but it is a very profound statement of the value of the neighbourhood versus the value of the individual. The two are not mutually exclusive. Next Next post: What comprises the ideal Village Festival?